When I was working in news, one of my stops was Florida. While there, I worked for a very bright man who told me the secret to a successful business – a successful business is one that makes their customer’s lives easier. “If it doesn’t make their lives easier,” he said, “then that business is destined to fail.” Over the years, I’ve taken his words to heart. You can see this around your house. A washing machine makes it easier for me to clean clothes. A car makes it easier for me to travel places (ever seen the vet bills on a horse?). A computer makes it easier for me to communicate to a broad audience. Word processors make it easier for me to write, especially compared to a typewriter when I have to make corrections. Which comes back to us: videographers, compositors, post-production specialists. Our job is to help our clients communicate their ideas on a screen. It doesn’t matter if the job is making an elf appear to run across a field being chased by goblins, or helping our automotive client sell used cars – our job is the same. We’re helping the client communicate to an audience. 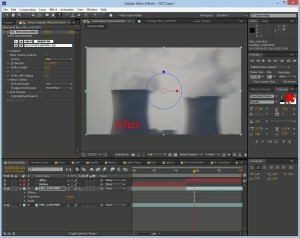 Filter sets for compositing software give us more tools at our disposal to use to help our clients communicate. They make our lives easier by being there, ready-to-go, without having to reinvent the wheel (read that as having to learn advanced scripting) every time we need a special transition or effect. In short, filter sets can improve our final product. Which makes our clients happy. Which makes their lives easier. Which keeps us in business. Boris has released Final Effects Complete 7. Let’s take a look. If you’ve used Final Effects Complete in the past, skip down to the What’s New section. I’ve included a video of all of my samples made with FCE7 and posted it to Youtube. If you’ve never worked with Final Effects Complete (FEC), it is a collection of over 100 transitions and effects for Adobe, Apple, Avid, and Autodesk. I work with Adobe After Effects, so I’m going to be focusing on the Adobe version of FEC7. The filters are divided into categories. They include filters for Blur and Sharpen, Color Correction, Distortion, Edges, Image, Light, Particle, Perspective, Stylize, Time, and Transitions. Let me give a list of each category, then an example of one of the filters in the category. The Blur category includes Blur, Channel Blur, Chroma Luma, Directional Blur, Sharpen, Soften, Spin Blur, Spiral Blur, Unsharp Mask, Vector Blur and a Zoom Blur. All are excellent. I particularly like the Directional Blur, which gives a blur along an angle that I choose. The Color Correction category includes Brightness Contrast, Color Balance HSL, Color Balance RGB, Color Offset, Gamma Pedestal Gain, Invert, Replace Color, Threshold, Threshold (RGB), Tint, and Toner. Toner is interesting. It’s let’s you decide what color black, white and mid-tones are mapped to, giving you more control of how your shot will look when you’re adding, say, a sepia-tone to it. The Distortion category includes Bend It, Bender, Bulge, EZ Lazy Waves, EZ Ripples, Flow Motion, Griddler, Lens, Power Pin, Rectangle Scale WIpe, RIpple Pulse, Slant Matte, Slant, Smeal, Sphereize and Split. Split is an interesting transition that bends the image, revealing a layer beneath or covers the layer beneath. You choose the points in the image the filter uses to create the bend. The Edges category is great for title work. Filters here include Burn Edges, Gradient Blur, Power Ramp, Sparkle Edges, Spot Blur, Spot Feather, Spot Frame, Spot Tatter, Spot Turbulence and Wiggle Edges. Case in point: Sparkle Edges. This filter makes sparkles along alpha edge of the image. You have control of the sparkles. They can blink, or fade in and out as you see fit. They can be set to auto-animate, orbit randomly, or stay stationary. The Image category includes Alpha Map, Channel Noise, Composite, Median, Minmax, Noise, and Simple Wire Removal. I had a hard time deciding what to use as an example with this category, because I was having too much fun with them. I finally decided to go with Minmax. Minmax changes the pixel value in an area to the minimum or maximum pixel value. This can create interesting overexposure looks for transitions. The Light category includes Light Blast, Light Burst, Light Rays, Light Sweep, Light Tornado, Light Whirl, and Spotlight. Light Sweep makes a beam of light cross the image. Think of a photocopier beam crossing a document. The Particle category includes Ball Action, Bubbles, Drizzle, Hair, Mr. Mercury, Particle System II, Particle World, Pixel Polly, Rain, Snow, and Star Burst. Many particle generators are handy for making interesting title backgrounds, Bubble comes to mind. But the one I want to look at now is Rain. Rain makes streaks that resemble rainfall. The Perspective category includes Advanced 3D, Cylander, Page Turn, Simple Shadow, Sphere, and Super Shadow. Sphere wraps the image onto a sphere. You have control over the sphere’s properties, such as rotation and lighting. The Stylize category includes 3D Relief, Blobbylize, Burn Film, Emboss, Fractal, Glass, Glow, Glue Gun, Kaleida, Lens Star, Mr. Smoothie, Reptile, Scatterize and Video Fragment. Mr. Smoothie, well, let me use Boris’ own description: “ Mr. Smoothie transforms images into flowing, psychedelic patterns. You can use it to create background textures or wild special effects.” I’ve seen this effect before, used to simulate what monsters might see as they walk around Earth. It could also make some nice title backgrounds. The Time category includes Force Motion Blur, Time Blend, Time Blend, FX, and Wide Time. Force Motion Blur adds motion blur to effects that don’t have the option. It accomplishes this by blending intermediate frames. The Transitions category includes a big list: Blur Dissolve, Glass Wipe, Grid Wipe, Griddler Wipe, Image Wipe, Jaws, Lens Wipe, Light Wipe, Pin Wipe, Radial Scale Wipe, Rain Wipe, RGB DIssolve, Scale Wipe, Slant Wipe, Spherize Wipe, Super Dissolve, Threshold Dissolve and Twister. Griddler Wipe converts the image into tiles, and let’s you animate the scale and rotation of the tiles. FEC7 now features 32-bit float precision color rendering support under the hood. This makes for smoother final images, blurs, movement, etc. FEC7 also now integrates with After Effects mask path controls, for more interesting possibilities for the “writing on the screen” effects. The Beat Reactor system now works with Adobe Premiere Pro, and is built-in to several of the filters, including Spiral Blur and Video Fragment. There are 10 new transitions and filters, including Difference Blend, Difference Wipe, Glow Dissolve, Spiral Blur, Threshold Dissolve, Threshold RGB Dissolve, Toner Dissolve, Turbulent Dissolve, Vector Blur Dissolve, and Water Waves Dissolve. The Difference Blend filter substitutes pixels from a bottom image layer with pixels from the top image layer. Anything that will improve our final image is appreciated. 32-bit float precision color rendering makes upgrading well worth it, not to mention a host of new filters, transitions and the inclusion of the Beat Reactor for Premiere Pro. The cost of an upgrade is $295.00. If you have never used FEC, I suggest taking a good look at it. You’ll be pleasantly surprised. Boris Final Effects Complete is available either on physical disc or download for $895.00 .